I am logged in with my admin account, which is my only account on this computer. I checked under preferences and it says "admin". Browse other questions tagged mojave permission hosts . 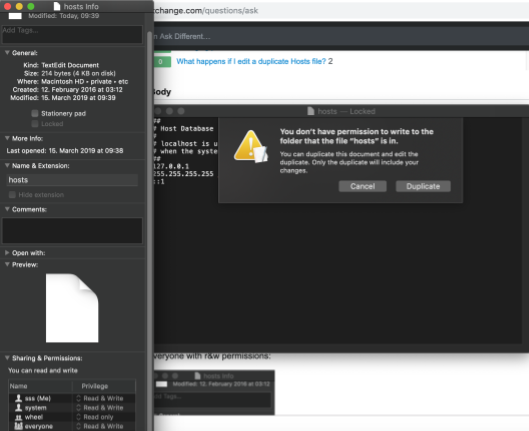 why cannot I edit my `hosts` file?